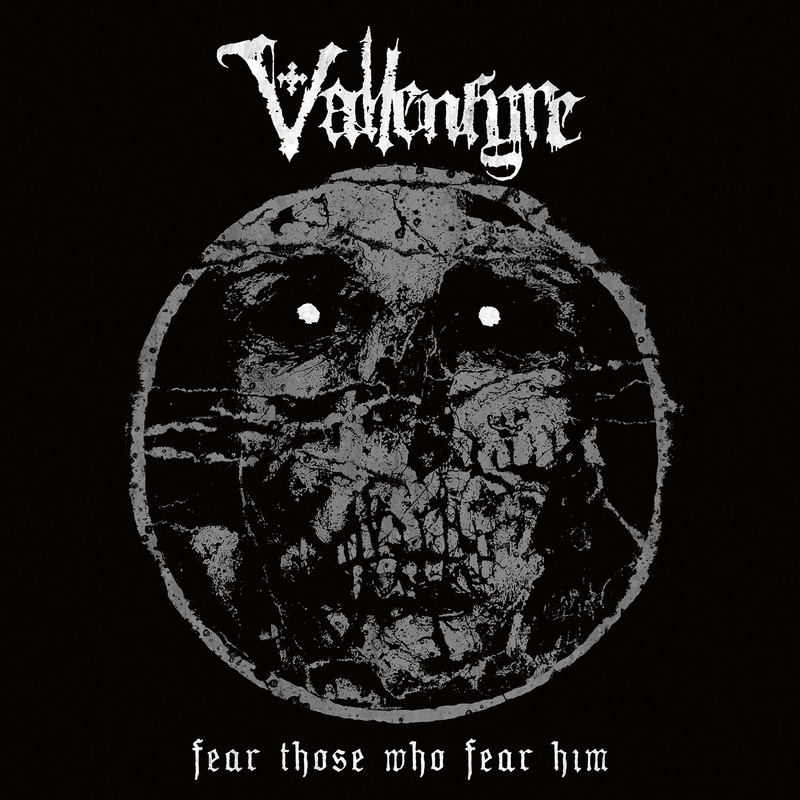 Vallenfyre, for the uninitiated, is something of a doom/death supergroup. 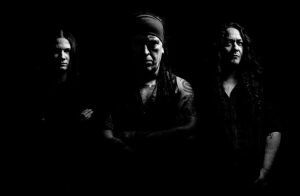 Formed in 2010 by vocalist Gregor Mackintosh (Paradise Lost) and Hamish Glencross (ex-My Dying Bride), the current lineup is rounded out by drummer Waltteri Väyrynen (Paradise Lost, Abhorrence) who replaced original drummer Adrian Erlandsson (At the Gates, The Haunted). With such an esteemed doom/death pedigree, it should come as no surprise that the band’s first two albums, 2011’s A Fragile King and 2014’s Splinters, were fantastic slabs of crushing doom/death that were far heavier than Mackintosh and Glencross’s more well-known gigs. However, the band has thrown us a curveball on their new album, Fear Those Who Fear Him. While the band’s exceptional doom/death is still very much present on Fear Those Who Fear Him, the album has more prominent crusty grindcore bells and whistles. The album’s opening tracks, “Born to Decay” and “Messiah” both clock in at two minutes or under and pack plenty of crunch and crust. Then the album goes back to doom/death for a few songs and the pattern repeats. Vallenfyre is adept at both approaches and there isn’t really any jarring incongruity between the band’s faster and slower songs, mostly because no matter what speed they’re playing at Vallenfyre is oppressively heavy. Part of this heaviness is a result of the buzzsaw Swedeath guitar tone and part of it is the album’s production, courtesy of Converge’s Kurt Ballou. Ballou has been responsible for some great bands’ most recent albums (Trap Them, Gatecreeper, Darkest Hour) and the guitar tone on Fear Those Who Fear Him is characteristically massive. “Degeneration” opens with a fat, greasy riff that wouldn’t have been out of place on Wolverine Blues and creates a punishing one-two punch with the suffocating “An Apathetic Grave.” Another bright spot of the album is Gregor Mackintosh. In addition to the bludgeoning riffs he provides some truly savage vocals and while the album doesn’t have all that much vocal range, he has come a long way as a frontman and turns in an excellent performance on Fear Those Who Fear Him. As a fan of the band’s previous albums, I found the band’s speedier approach on Fear Those Who Fear Him an unexpected but pleasant surprise. There are obviously a ton of Swedish death metal revival bands out there, but few are as gnarly and hateful as Vallenfyre. And none that I’m aware of mix d-beat crust with death/doom so seamlessly. Fans of anything brutally heavy and manically intense need to check out Fear Those Who Fear Him. This entry was posted in Death Metal, Reviews and tagged Century Media Records, Crust, D-Beat, Death Metal, Death/doom, Entombed, Fear Those Who Fear Him, My Dying Bride, Paradise Lost, Swedish death metal, Vallenfyre.